Teflon is the DuPont Corporation’s brand name for polytetrafluoroethylene (PTFE), a non-stick coating commonly used on frying pans, cookie sheets, and other cookware. According to DuPont, the U.S. Environmental Protection Agency (EPA) "does not believe there is any reason for consumers to stop using any consumer or industrial-related products" that are sold under the Teflon brand.” Yet there are still concerns that using Teflon can be dangerous, particularly when the cookware is damaged or scratched. According to the New York Times, the EPA and DuPont reached a $16.5 million settlement in December 2005 over DuPont’s failure to report health risks associated with perfluorooctanoic acid (PFOA), a chemical used in creating Teflon. And in January 2006, the EPA announced an agreement with eight companies to eliminate PFOA from consumer products by 2015. DuPont is one of the companies involved in the agreement. In that same article, the New York Times reports the EPA’s scientific review panel advised that PFOA should be listed as a “likely” carcinogen, because it is known to cause cancer in animals. The evidence that it causes cancer in humans is not conclusive. When Teflon coating is scratched, small particles of Teflon can break up and seep into your food, or dissolve into gas at high temperatures. 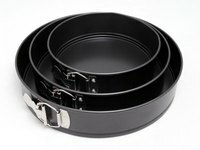 DuPont states on its website that, while you shouldn’t use scratched nonstick cookware, it isn’t dangerous. But a New York Times article quotes an organization called the Environmental Working Group (EWG), which says research proves Teflon cookware can give humans symptoms similar to the flu because it emits toxic fumes at high temperatures. “Unfortunately, there is more that we don’t know than we do,” group spokesperson Lauren Sucher told the newspaper. One thing everyone agrees on is that Teflon is a safety risk for birds, even when the cookware isn't scratched. In its website safety suggestions, DuPont says users should keep birds out of the kitchen when using Teflon cookware. The EWG reports a Chicago veterinarian documented 296 bird deaths in 105 cases involving nonstick cooking products in a single year. What Are the Dangers of Pressure-Treated Wood?